Hotzone Identifier HazCat kit enables rapid identification of the hazard(s) associated with gas, solid, and liquid unknowns, spills, waste. This information is critical for the hazmat responders to complete the risk assessment. Categorisation of the potentially hazardous waste provides for its labeling, safe transport and disposal. The kit is self-contained and features the step-by-step field guide detailing the procedures quick and easy to perform. The test procedures are based on fundamental chemistry principles and thus reliable. However, they are simple enough to be performed by a non- chemist. The portable “laboratory” is housed in the customised Pelican™ case: corrosion-resistant, water-tight, shock adsorbing, but still convenient to carry or store. Hotzone Identifier HazCat kit ideally complements portable, handheld Raman technology such is the Serstech Indicator. 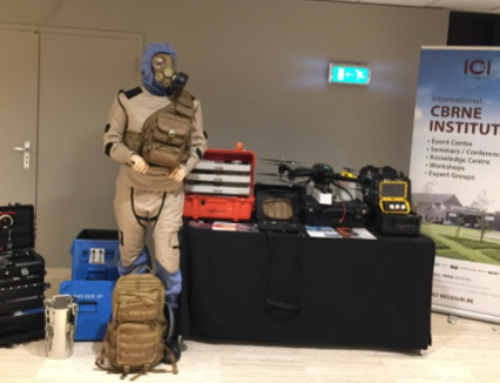 Raman technology is the first choice for the responders on the field. However, this technology has its limits, notably when dealing with the thermally sensitive, complex, black and brightly coloured materials. Hotzone Identifier HazCat kit allows for rapid assessment of thermal hazard of the materials and characterisation of the samples not amenable to the Raman.